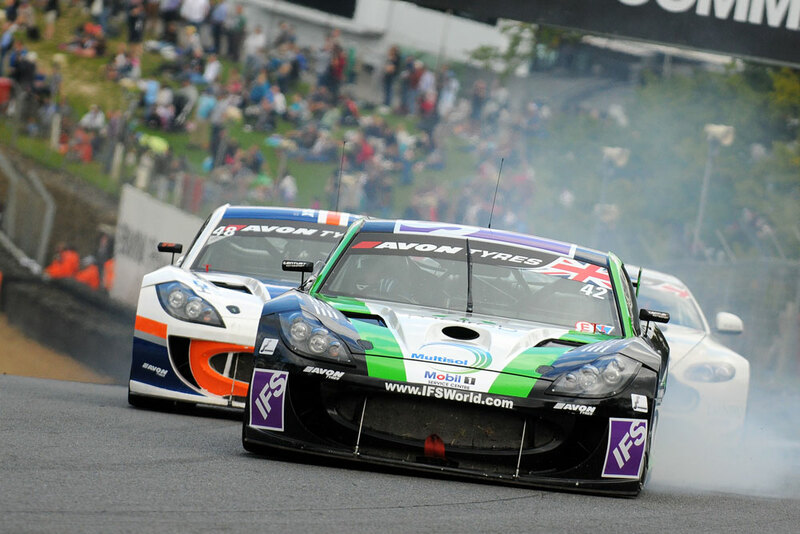 Century Motorsport were robbed of what should have been a double podium in round nine of the 2014 Avon Tyres British GT Championship at Brands Hatch. Reigning British GT4 Champion Rick Parfitt Jnr and Tom Oliphant got their weekend off to a good start showing their known strong pace on Saturday during free practice. Carrying this into qualifying earned the pair a second place starting position for Sunday’s two-hour encounter safe in the knowledge that they had yet to show their full potential. 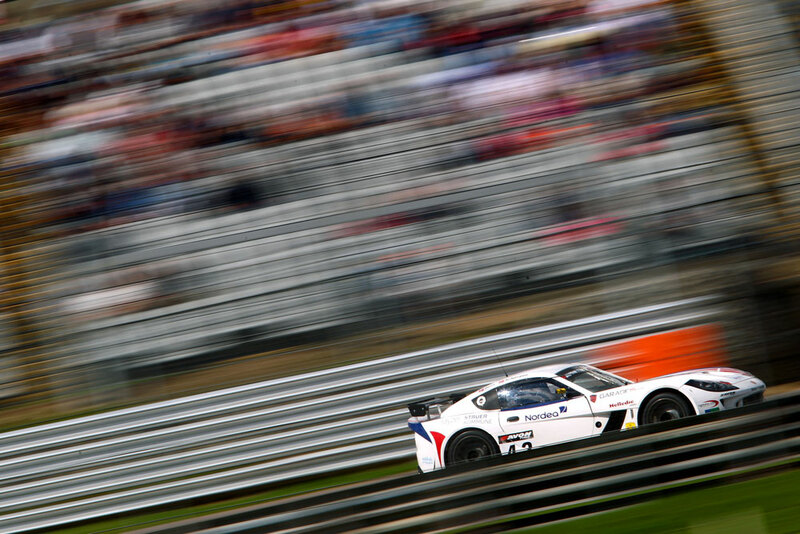 Scandinavian pairing of Aleksander Schjperpen and Morten Dons who have already visited the podium twice this year in their debut British GT season also put on a strong display for their first visit to Brands Hatch. When their qualifying times were combined they would place their car in seventh place, equally confident that with more time on track they could quickly move up the order. Rick Parfitt Jnr started the teams #42 Ginetta G55 GT4 and straight away looked very comfortable in second. Managing his position and waiting for the right moment to mount a challenge for the lead, Rick’s efforts were literally dealt a blow with a front left puncture coming into Paddock Hill Bend. Limping his Ginetta around to the pits for some fresh rubber, Parfitt lost a lap and ultimately the chance to challenge for a podium. When he returned to the circuit, Parfitt proved why he was last years champion as the fastest GT4 driver on circuit for the remainder of his stint. Tom Oliphant took over the car at the half way mark and complimented Rick’s pace to eventually bring their car across the finish line sixth in GT4. Starting the race for the #43 crew was Aleksander Schjerpen. A superb job in the opening laps promoted him to fourth as the Safety Car was deployed. Once racing got back underway, Aleksander maintained his position before pitting just after the one-hour mark to hand over to Danish driver Morten Dons. A superb job in the pits by the team allowed Morten to leap frog the rival Fox Motorsport Ginetta to move into the first podium place in third. Settling into a very comfortable pace, Morten looked set to record their third podium of the season. However further poor luck would strike the team as Dons reported a steering issue over the radio inside the final 10 minutes. Loosing over seven seconds per lap, Morten would eventually fall to fifth at the flag, robbed of what looked set to be a sure podium finish. “We struggled during free practice however we got a decent set-up on the car on new rubber. We missed pole by just six hundredths of a second, which is a shame, but it proved that we were on the pace. The race started absolutely perfectly to plan, we sat behind the Aston waiting for them to use their tyres, I’d already lined up three possible passing spots where I noticed he was weak and it was all going to plan, we were building a gap and although it was easy in the race, it was obvious Ross and I were the pace-setters so I was happy to sit behind him and let him use his tyres, that was our plan from the team.